This is a blog dedicated to helping all shoppers find the best bargains to do more with less! 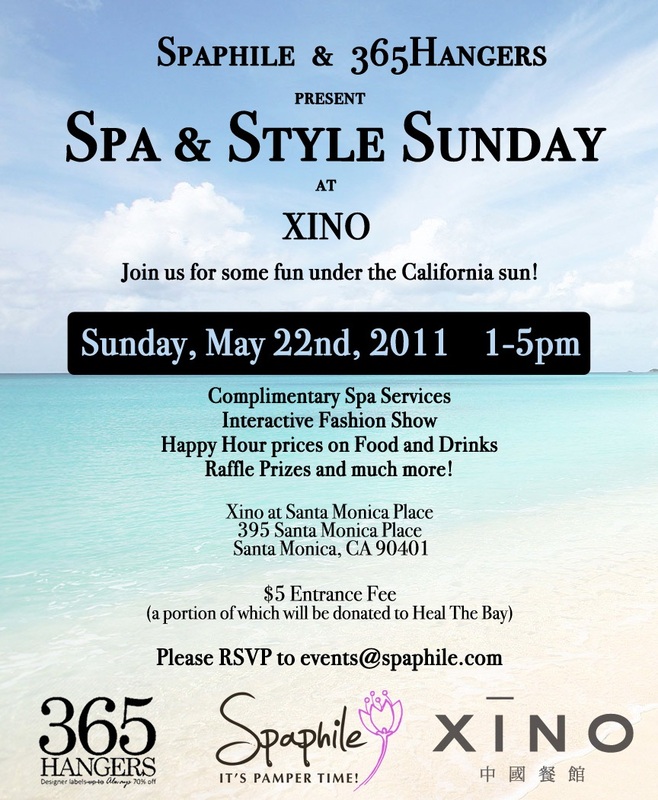 If you're looking for a low cost and Spa and Shopping event, then you should check out Spaphille's upcoming event this Sunday at XINO in Santa Monica. There will be complimentary spa services, shopping and a happy hour. Sounds fabuless, all for the price of a $5.00 entrance fee. 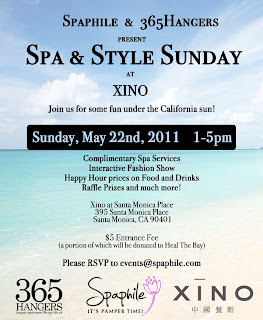 To attend, RSVP to events@spaphille.com. Get Twitterific with Last Call to Win $100.00! The material on this site may not be reproduced, distributed, transmitted, cached or otherwise used, except as expressly permitted in writing by the author.